Chemistry is one of the most interesting subjects if you get the hang of it. From how an egg changes when you fry it to how a car helps you reach your destination when you add petrol to it, everything is about chemistry. Unfortunately, not all students excel in Chemistry, and some have to work really hard to get good marks in the subjects. No matter whether you like Chemistry or you can’t understand it easily, you need to get good marks in the subject in your board’s examination to ensure that you get better chances of getting admission in the college of your choice. 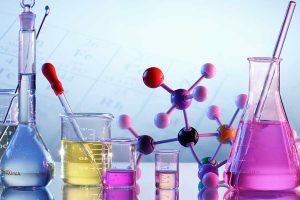 Here you can have a look at some success tips that will help you to know how to study chemistry class 12 in CBSE Board. You should start by ensuring that you attend all the classes at school and do the homework right. When you understand the basic concepts from the beginning, you would understand tough concepts later on with ease too. It is also advised that you read only one chapter at a time, understand it completely and then move onto the next chapter. If you try to understand too many chapters at once, you may not understand them, or you may not retain what you understood for long. If you feel that you are not good in chemistry as compared to your other subjects, you might want to seek additional help. This help can include buying a reference book to get a deeper understanding of the topics you can’t understand or hiring a tutor to lend you a hand. Most of the chemistry subject can be learned in the lab. So, you should never skip any laboratory experiment as it leads to better understanding of how things happen and why. One example is of Chatelier’s principle of equilibrium for reversible reactions. When you read the theory, it may sound boring, but when you see in for real in the lab, it’s highly likely that you will remember it. In case you can’t get the hang of a topic, try to understand why you can’t learn it. Make a list of terms you cannot grasp and the questions that need to be answered and request a schoolmate, a teacher or tutor to help you with the answers. You should realize that mathematical problems often help in understanding a concept better, and when you add them to your answers, you will get good results. It is also advised that you practice each important formula at least a couple of times before the exams. We know that you have been waiting for this one. Yes, a few topics are quite important, and they cannot be skipped. Some of them are Electrochemistry, Polymer, Chemical Kinetics, Biomolecules, and chemistry in everyday life. If you think that you have understood all the parts of the subject, you should start testing yourself by using timed papers by CBSE. Test yourself with one paper every week and modify your revision schedule accordingly. Our last piece of advice is that you should revise the entire syllabus as much as possible. Do make your notes with your abbreviations of concepts so that you can fit in an entire chapter on one page. It is also crucial to revise everything the morning of the exam to ensure that your retention is high. It is hoped that you will use these tips and get success in CBSE Class 12 Board exam of Chemistry. Good Luck!